Canada’s beloved roots rocker is a 35-year-old, eight-time Juno award-winning vocalist. 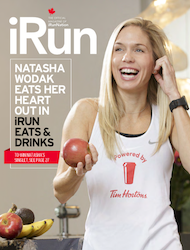 However, it’s her work on wellness, staying active, and positive vibes that makes this runner an iRun fave. iRun: It’s been almost ten years since you won the Best New Artist Juno and you seem to be at your most popular now. What do you attribute your longevity to? Serena Ryder: Being open to change and realizing that you don’t really know that much. Being able to roll with the punches and adapt. Really, since Harmony , I’ve been making records quicker. It’s easier to stay inspired in the studio when it’s not a long, drawn-out process. iRun: How tied together is how you feel with how you record and perform? SR: I have to be out in nature to clear my mind and cleanse my palate. It gives me an extra boost, whether I’m dancing with my headphones on, taking a long walk in Toronto’s High Park, trying my best to run, or walking in the woods, it doesn’t matter. It’s vital to me to unplug. iRun: How is running helpful? SR: It puts me into a different headspace and gets my body moving. The benefits are massive. iRun: Being a rockstar is not without its temptations. What have you learned about eating and being active while spending so much time on the road? SR: So many people think that every night should be a big party for us, they want us to come out and have drinks, but they have Saturday and Sunday to rest and I’m doing it every night. I had to learn or I wouldn’t still be doing it now. I wouldn’t have the stamina. iRun: Talking about stamina makes you sound like a marathon runner. How do you conserve energy for the big gig? SR: I’m tightly in control of my schedule and I need to get enough sleep. I may not get eight hours a night, not when I’m pulling out on a tour bus at 4 a.m., but I’ll nap during the day and drink my eight bottles of water. For me, meditation is also important—sometimes even just five minutes at the airport. I have to have me-time and normalize an abnormal life. iRun: And staying active is a big part of that? SR: Integral. It gives you more energy to do more. People say “I don’t have any time to run,” but if you run, you have more time to do better at all of the things you’re so busy with! 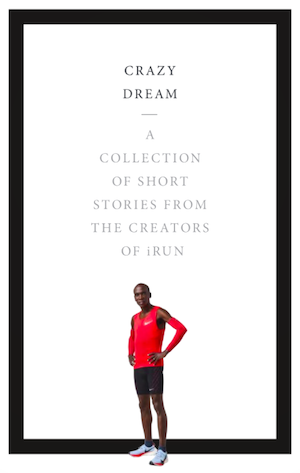 iRun: So what’s the secret? How do you make it work? SR: People sometimes get so strict with what they think they need in their life and if everything isn’t perfect, they give up. Like if you can’t run at 9 a.m., you give up on it for the rest of the day. Don’t be so strict about what you think you need to get started. Start something, do it right now! iRun: You’ve been a gutsy outspoken mental health advocate with the Bell Let’s Talk campaign, bringing up personal experiences. What’s been the response you’ve received so far? SR: People aren’t put on this world to judge and I think that whatever you have inside of you that you know to be true, if you’re genuine, there’s no way you will not succeed. iRun: Stompa is such a great running tune. Can you recommend a few jams for our readers? SR: I like to start with No One Knows like the Piano by Sampha, then when I get going and want to move I’ll play Too Good by Drake and Rihanna. Anything by SIA is amazing, plus Kendrick Lamar is unbelievable. I just went to see him at the ACC. Serena Ryder’s most recent album is Utopia. For tour dates, see SerenaRyder.com.